Today it is my pleasure to welcome a lady that I’ve looked up to for a number of years. She doesn’t know this, but while I slogged through the trenches on my way to publication it was her fabulous attitude and wealth of information that often guided me. 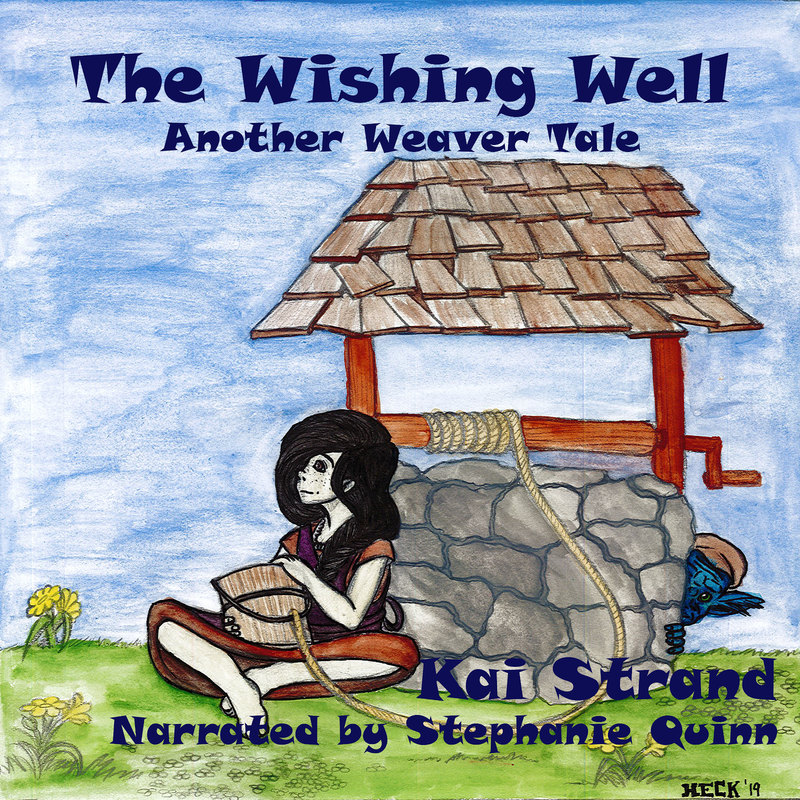 As a matter of fact it was a post on her blog that led me to discover several authors and illustrators from Guardian Angel Publishing were going to be in my area – and the rest as they say is history. I adore Margot Finke and it is a thrill for me to interview her on my blog today (blog + interview = blogview). Let’s learn more about Margot, shall we? Margot Finke is an Aussie transplant who writes mid-grade adventure fiction and rhyming picture books. For many years she has lived happily in Oregon. Gardening, travel, and reading fill in the cracks between writing. Her husband is very supportive, and their three children are now grown and doing very well. Seven wonderful grandchildren round out her life. 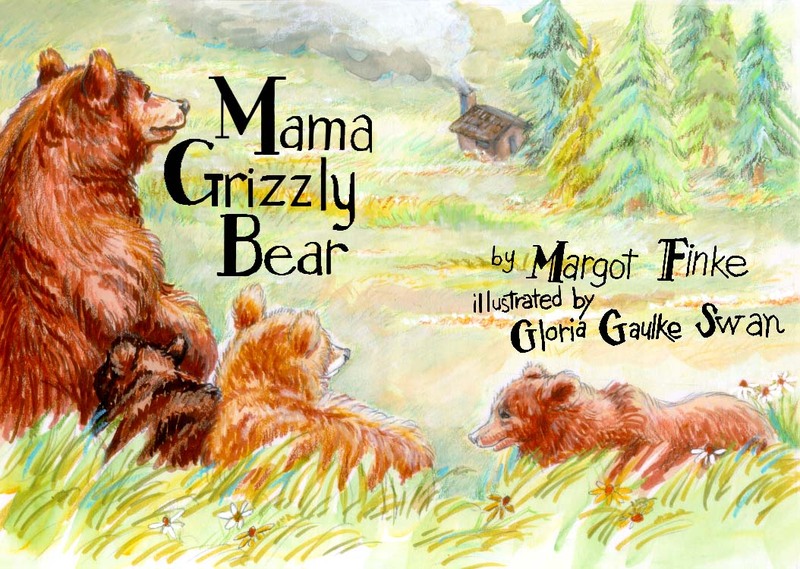 Margot has 11 published books, with several more due for publication later this year. She didn't begin serious writing until the day their youngest left for college. This late start drives her writing, and pushes her to work at it every day. Margot said, "I really envy those who began young, and managed to slip into writing mode between kid fights, diaper changes, household disasters, and outside jobs. You are my heroes! " I asked Margot a few questions about the craft of writing, but as I mentioned, she is a wealth of information, so be sure to visit her website and blog. Margot, what makes a book a ‘boy’ book? A boy book must act like a boy, smell like a boy, and react like a boy. That means lots of fun action, with no mention of hand washing or clean clothes. It means visiting smelly, wild places, and even getting dirty. Throw in a fight, an aversion to anything girly, and have lots of weird and surprising things happening. Add some wild and strange characters, and you have what HOOKS boys on reading. In your opinion what are key elements to a story that draw a boy into it? 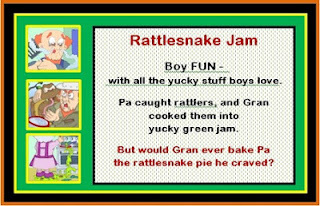 “Rattlesnake Jam” is a really fun PB for boys or tomboys. Taconi and Claude is a terrific young teen book for boys. What were your favorite stories when you were growing up in Australia? Hah! But I’m a girl. However, to mitigate that fact I grew up with the three boys next door. Our huge mango tree was adventure central for all of us. I had to act like a boy if I wanted to be in their gang. . . so I was the absolute best girl in our town at being a boy! Go figure. I loved Treasure Island, Alice in Wonderland, and any sort of adventure that took me away to fascinating places. Kai, you shouldn’t have asked me this. You will definitely regret asking. You see I have two new books coming out from Guardian Angel Publishing. 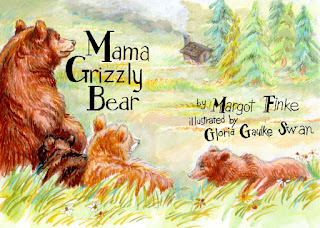 The first is “Mama Grizzly Bear,” a PB about a year in the life of Mama and her cubs. It is the first ebook in my Wild and Wonderful series to be published in soft cover. The other six in the series will follow - four about US critters and three about Aussie critters. I am thrilled about this, and I can’t wait for “Mama” to arrive. Then there’s “Survival by Walkabout” a sequel to Taconi and Claude–Double Trouble, and also from Guardian Angel Publishing. Due to lies, deception and threats, Bindi and Josh find themselves on walkabout. The unforgiving Queensland outback nearly does them in, a Medicine Man wants Josh dead, and Dreamtime spirits hover waiting to pounce! Coming soon I hope. See, I said you’d regret asking me about my next book – more than you bargained for. Right? Not at all! I LOVE when authors have so much exciting news to share. Nothing inspires me specifically. I just wake up in the middle of the night with a head full of ideas, plots, characters, and their problems. They infest my brain until I type them and all their angst and dangerous tendencies into a file, give it a name, and then badger some poor publisher into printing it up. I am jumping into the self publishing business with 3 new books: PB Oscar’s Hunt For a Good Mate and Kobi Borrows a Pouch. Partnering with me in this uncharted new adventure is fabulous illustrator Agy Wilson (https://www.facebook.com/agywilsonwork) She is the brains and I am the brawn. They will both be illustrated and animated by Agy for Kindle, iPad, IPod and Nook etc. And hopefully out for the Christmas season. PLUS my mid-grade ghost mystery, the “Revenge of Thelma Hill.” My crafty and wonderful ghost takes both her name and her character traits from my dear mum, who I might add, would be absolutely tickled to have her name and character woven into a book I wrote. Frannie and her twin brother must help the ghost of Thelma Hill trap the man who murdered her. Dangerous business as they soon discover. Again to be self published by team Margot and Agy. Then of course there is always PROMOTION. Like death and taxation, it cannot be avoided. Books are easy! You think ‘em up, write ‘em down, and then publish them. However there is NO rest for the wicked writer. The really hard work now begins. Promotion never ends. I suspect, that when I pass on to that Great Writing Workshop in the Sky, I will be like the Ghost of Thelma Hill. I’ll hover over my unsuspecting family and friends, moaning, and begging them to try some new promotional ploy I am desperate to somehow plug into their uncooperative heads. Margot, you are full of fun, adventurous news! I wish you the best of luck with your new endeavors. Thanks for visiting with us today! My pleasure, Kai. Your blog is a delight to wander through. Great post kai! I love Margot and everything she writes. Her blog characters should be made into a Saturday morning cartoon for kids. I too started writing late in life Margot. Wishing you great success. You're so right, Susan. They'd make great cartoon characters too. Your praise and kind words left me stuttering and blushing. Thank you so much for your wonderful and positive introduction. Us late bloomers have to stick together, mate. I love your cartoon idea too. Now to find someone to bring it all to fruition. any takers? Lovely and heartwarming intro of Margot! You always make me laugh! Your insights and success with your ever evolving writing career astounds me. Kudos! Wow, Margot! You're so productive--what's your secret? Congrats on all your latest and upcoming accomplishments! You're an inspiration! I've also known Margot for several years now via the internet and all I can say is that she's a wonderful author and a wonderful human being. I love this interview! Margot, you are a wonder, and I wish you nothing but the best with your books that are out and for the ones to come. You have a full and productive life and are a model for all of us. And, of course, thanks Mayra for bringing this terrific post to your lovely blog. Donna, Mayra and Nancy, I am absolutely blown way by these kind words from all of you. What a wonderful cheering squad! Many, many thanks, mates. Margot and Kai, I have a feeling the two of you had too much fun doing this interview. 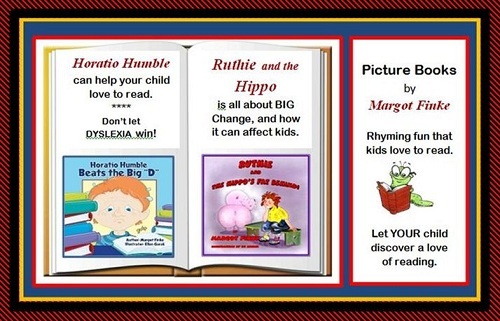 Margot's books sound wonderful! Hi Kai and Margot. Always a pleasure. So good to hear more about Margot. She has also mentored me, for which I am eternally grateful. Keep up the good work you two.